BFS has been pioneering new ideas in the crop nutrition industry ever since Anthony Cecil started the business in 1948, constantly developing new formulae to add to our wide range of fertilisers. We have built an unrivalled reputation for innovation and reliability in formulation, production and distribution. Working alongside agronomists, we plan bespoke fertiliser programmes for farmers and growers, which means our customers can count on the best possible products and service at all times. Since the turn of the millennium, we have invested heavily in new plant at Ilgars, our five-acre site in East Anglia, giving us a substantial fertiliser manufacturing capability. Acquired in 1976, Ilgars was significantly upgraded in 2000 and is now home to all BFS manufacturing activities. And we have a dedicated transport fleet, operated by our own locally-based drivers who deliver fertiliser directly to the farm. Our sister company, Billericay Farm Services, supplies a complete range of spray nozzles, jets and sprayer accessories and spares, many of which have been designed in-house. 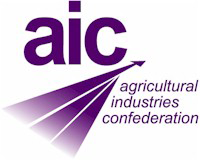 BFS has Fertiliser Industry Assurance Scheme (FIAS) accreditation and is a member of the Agricultural Industries Confederation (AIC).